I finished Night Moves the other night, and I’m trying really hard to take a break from writing. (Not that it worked, about 500 words of my new project, In the Still Of The Night, slipped out last night). It feels weird, with no book calling to me to continue. I’m looking for distractions. Of course, that means I headed straight to Pinterest. Of course, I wanted to dedicate a board to my love of wreckage, abandoned buildings. In my pinning frenzy, I stumbled upon this and I can’t get it out of my head. In the 1950’s, Detroit was home to almost two million people. Today, less than half that number call it home. One in three of Detroit’s buildings are abandoned. Roughly 45,000. They succumb to vandalism and fire. The city has been razing roughly 5,000 a year, but the rest remain as eyesores. The average sale price of a home in the city is $9,000. 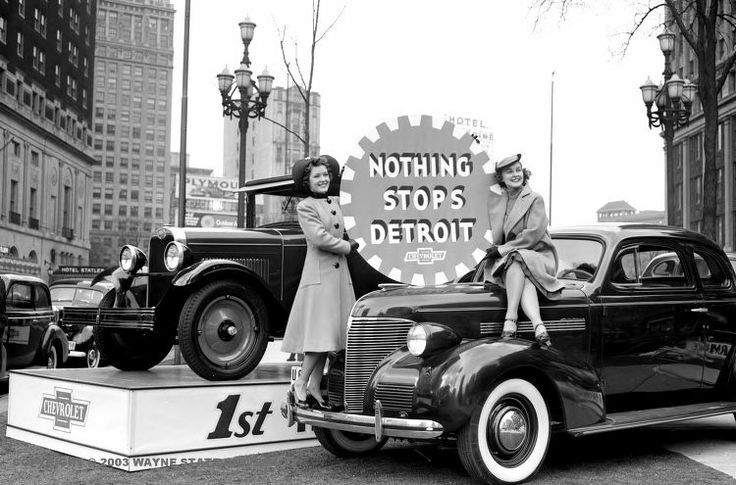 Despite the revitalization of the American auto industry, Detroit is still losing jobs in the economic recovery. The high school drop out rate hovers around seventy five percent. The murder rate makes New York City look like a quiet suburb. 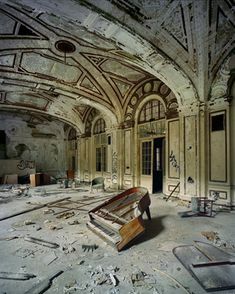 The ballroom of the Lee Plaza Hotel, Detroit. I feel like I’m telling you about a third world country, and I’m not. This is America. We can do better than this. With our eyes closed. There’s a beautiful photography book called “The Ruins of Detroit” that chronicles this. It’s so fascinating because… I mean, as you say, HOW can this be happening right under our collective noses?? An entire city that’s been abandoned. Love this. If you never been downtown Detroit lately, you are missing out. Live outside music at Cheli’s fills the air, massive street traffic from the Tiger game, a great mix of people. Diverse. More theaters in close proximity than any other area of the country. It’s raw and real and can be beautiful. There are a ton of new businesses flocking to Detroit. It’s still pathetic that you can hardly buy groceries down there. (Whole Food is changing that). Downtown is incredible these days. What you read is true, but it is still not the whole picture. The ruins to some degree give it character, but it is disgusting to see what looks like a war zone, literally, like a bomb went off, next to new development. Suburbanites afraid to go downtown Detroit (you know the ones, who listen to thug rap but then lock their doors when they drive south of 8 mile) are part of the issue. It’s also corrupt as you can believe, with an incompetent, overpaid, do nothing city council. And you know about our mayor. I was there on Friday night, and the place felt as electric as New York or Chicago. It’s an amazing, unique place. Well, now I feel a road trip coming on. You make me want to visit, Mark. I also want to rehab houses and make it better. Even in its current state, I will stop and venture through Detroit … it may be broken but it’s still breathing. 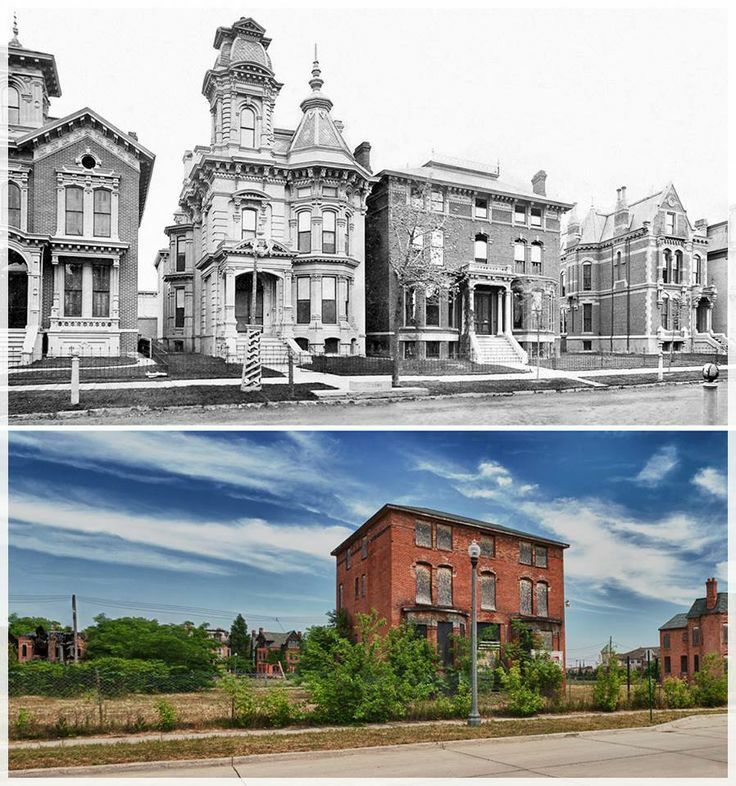 I see a prospective home in Detroit … perhaps with hope, love and help, the city will live and flourish once again. Hi there!!! I am happy to “meet” you.